This “scientific biography” of tuberculosis (TB) is a fascinating, scholarly account of a persistent, often misunderstood disease. 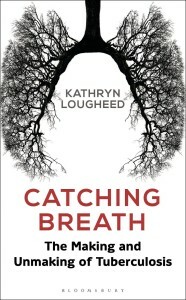 TB, as Kathryn Lougheed so eloquently reveals, has been with us since we became us. 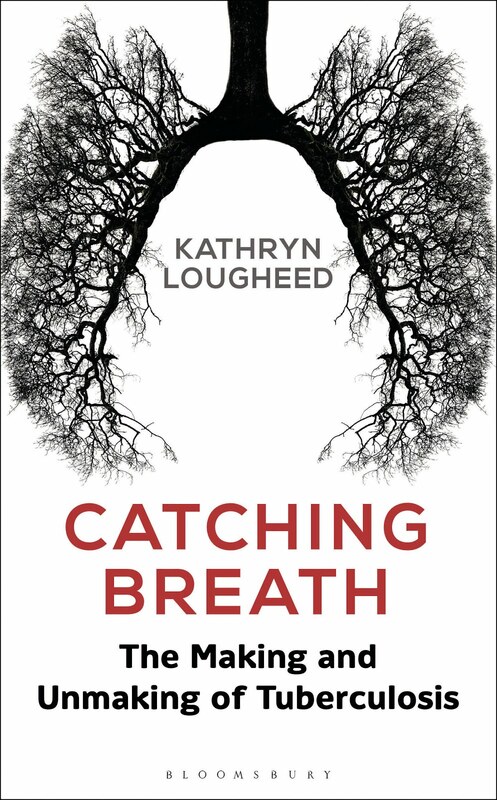 With a Ph.D., ten years of experience as a TB researcher, and as the writer of numerous peer-reviewed papers, Lougheed brings vast knowledge and an engaging writing style to this useful and highly readable book. It is not light reading, however. Do not expect a sophomoric explanation of TB. It is a long scientific paper crammed with factual research, statistics, conclusions, and suppositions, leavened with appropriate asides and bon mots that keep even the most casual reader engaged and eager to continue. Consider her subject matter. As its name implies, the Mycobacterium tuberculosis complex (usually written as MTBC) contains a number of strands, the primary two being M.tuberculosis and M.africanum. M.bovis affects cattle, obviously, and all non-primates. Romanticized in the 19th century due in part to the large number of literary people who succumbed to it, it was a terrible disease. Known as consumption, the wasting disease, or scrofula, it usually affected the lungs. Difficulty breathing was the primary problem but the rest of the body could also be impacted resulting in weight loss, malaise, night sweats, and a host of other issues. Treatment modalities include a combination therapy of “seriously horrible antibiotics” over 20 months. And, that may not even work. Chapter titles are quite inventive; however, they are seldom revelatory until one is well into a section. That is, one cannot use a title to follow a personal line of inquiry. If you turn to the chapter “Huber the Tuber’s 20-Tubercular Sleep” you would be pleasantly surprised to begin reading an account of a book: Huber the Tuber, published in 1942, was a “public outreach attempt” by the National Tuberculosis Association. This “whimsical” fantasy begins with the line “Wars breed tuberculosis,” and suddenly its light-hearted tone is found to have a deeper meaning in that troubled time of war. Lougheed catalogs the close relationship between war and TB. The conflict between Russia and Ukraine, for example, has resulted in a tripling of the TB rates in Ukraine, which now suffers a “higher burden” of TB than all the EU countries combined. Here is the salient point: TB is “Under control but only until something shoves the balance in the bacterium’s favour, be it war or the insidious creep of HIV infection.” The chapter also examines the effect of oxygen (sea level versus high altitude) and associated treatments. Collapse therapy, for example, is a particularly gruesome method that involves collapsing the patient’s lungs. “Growing Fat on the Atkins Diet” shifts focus to the link between underlying health issues and TB. Six countries account for 60 percent of new cases: India, Indonesia, China, Nigeria, Pakistan, and South Africa. India’s “endemic undernutrition” and burgeoning population feed the TB epidemic while in Africa HIV is the underlying medical issue for patients. Type II Diabetes Type drives the issue in China. About 80 percent of the 382 million people with diabetes live in low- or middle-income countries, not in the wealthy. “In fact, the distribution closely overlaps with the incidence of TB.” Yet, little research is done into how the two diseases feed off each other. It seems that the MTBC thrives in fat. Part of the key to controlling and reducing rates of TB, Lougheed believes, is advocacy and rebranding. That is, we must recognize that TB is not just a disease of the poor or a “mothballed curiosity” of the past. It is a “modern monster” that is the leading cause of death from infectious disease. Lougheed has written an important book. While it is clearly aimed at a lay audience, it contains important information for researchers as it repeatedly puts a human face on the disease. She makes it clear that research for this book made a change in how she looked at TB. Perhaps more importantly, it provides a cogent argument that more funding should be available for research into causes, prevention, and potential cures. Perhaps it is time to catch our breath and take a closer look at this insidious disease. Lougheed brings vast knowledge and an engaging writing style to this useful and highly readable book on the historical and modern-day threat of Tuberculosis.